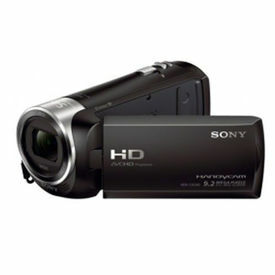 The 16GB HDR-PJ340 Full HD Handycam Camcorder with Built-in Projector from Sony captures Full HD 1920x1080 video at 60p and 9.2MP still images. 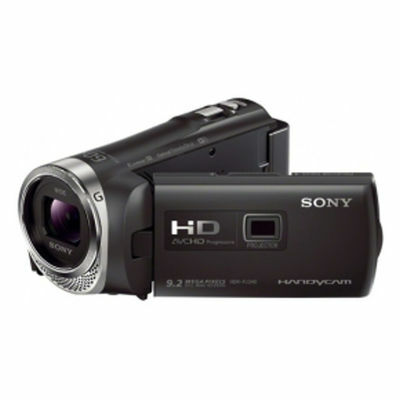 It features a 1/5.8" Exmor R CMOS sensor and a wide-angle Sony G zoom lens with 30x optical zoom plus 60x Clear Image digital zoom, and provides 16GB of internal flash memory. 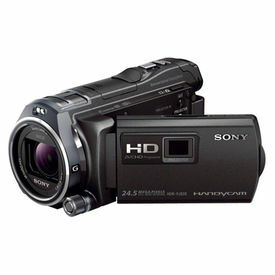 SteadyShot image stabilization with Active Mode delivers smooth video, and 3-Way-Shake-Canceling adds electronic roll stability for even smoother results.The HDR-PJ340 also includes a built-in 13 lumen projector that allows you to project video at up to a 100" diagonal size without having to connect to a playback device. Another convenient feature is built-in Wi-Fi and NFC support, which lets you use your smartphone or tablet to control the camera, as well as wirelessly transfer files to your mobile device for sharing, and back up data on your computer. 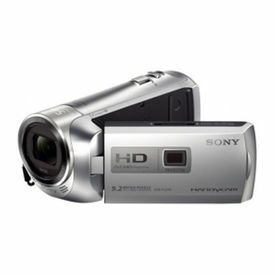 The 16GB HDR-PJ340 Full HD Handycam Camcorder with Built-in Projector from Sony captures Full HD 1920x1080 video at 60p and 9.2MP still images. 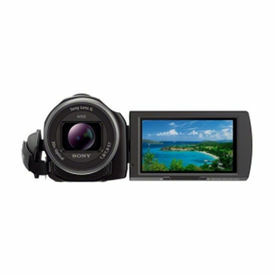 It features a 1/5.8" Exmor R CMOS sensor and a wide-angle Sony G zoom lens with 30x optical zoom plus 60x Clear Image digital zoom, and provides 16GB of internal flash memory. 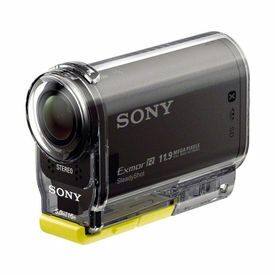 SteadyShot image stabilization with Active Mode delivers smooth video, and 3-Way-Shake-Canceling adds electronic roll stability for even smoother results.The HDR-PJ340 also includes a built-in 13 lumen projector that allows you to project video at up to a 100" diagonal size without having to connect to a playback device. Another convenient feature is built-in Wi-Fi and NFC support, which lets you use your smartphone or tablet to control the camera, as well as wirelessly transfer files to your mobile device for sharing, and back up data on your computer.